International Olympic Committee (IOC) officials claim to be stepping up their campaign to help cities win bidding referendums and believe reducing the costs of hosting the Games will help change the minds of local people. A key part of the new dialogue stage of Olympic bids is supposedly including providing more information to cities to best prepare them to showcase their respective bids and respond to critical questioning. "We are very conscious of referendums in some cities," said John Coates, chair of an Olympic Games Delivery Executive Steering Committee, as well as the Tokyo 2020 Coordination Commission. "Part of the group that Christophe [Dubi, the IOC executive director for the Olympic Games] takes when briefing Calgary and others are experts in communications and we are providing the answers and information to Organising Committees so they can be on the front foot when proposing their bid to city authorities and to the public. "We have the economic impact data and we are able to help them by helping get the message about the existing venues and those things. "It is part of what we take to the city in the dialogue stage. "It remains to be seen how effective it’s going to be, but we think we’re the ones who can have that information from past experience and we should share it." The IOC have suffered a series of referendum defeats in cities bidding for the 2022, 2024 and 2026 editions of the Olympic Games. Among those to have voted down bidding for the Olympics are St Moritz, in 2022 and 2026, Munich and Kraków for 2022, Hamburg for 2024 and Innsbruck for 2026. Boston, Rome and Budapest's bids for the 2024 Summer Games were all also dropped when it appeared likely they would suffer similar defeats in a public ballot. Oslo, the only city to win a referendum in recent years in 2013, saw its bid for the 2022 edition collapse less than two years later because of declining public and political support. A set of 118 measures were published by the IOC last week in an attempt to cut as much as $1 billion (£718 million/€806 million) from the costs of staging a Summer Olympic Games and $500 million (£359 million/€403 million) for the Winter edition. Dubi answered "costs" when asked today if they have carried-out detailed analysis into why citizens are voting against Olympic bids. "Can we ensure the budgetary candidature becomes the budget at the end of the Games? "Can we make sure that requirements set forward during the candidature are not unilaterally changed? "That was the narrative: 'You cannot control the costs...the brief will evolve, we will have no control over the destiny of that project'. "This is one of the reasons we are coming up with these recommendations and the Host City Contract when it comes to changing to guarantee what we sign for is what we deliver at the end." Dubi did not directly mention other perceived concerns, such as corruption, traffic problems and the supposed extravagance of the IOC. The latest reform measures, outlined in a document entitled The New Norm: Candidature to Delivery to Legacy, has followed an analysis of each operational area of the Olympic Games to ascertain where cuts can be made. 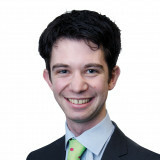 Coates admitted that the rethink followed a 2022 Winter Olympic race which ended with just the two Asian candidates of Almaty and eventual winner Beijing. He hailed the impact of the IOC's Agenda 2020 reforms for fostering a new approach where bidding cities were encouraged to avoid building expensive new venues and to hold events in different regions or even countries. 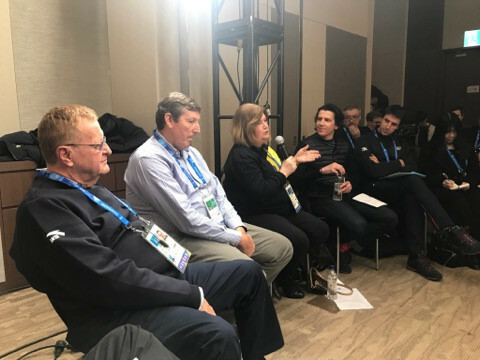 Gunilla Lindberg, chair of an IOC Coordination Commission of Pyeongchang 2018, admitted they had hoped that South Korean organisers would take advantage of this by using a sliding centre outside the country, possibly in Japan. This did not happen, however, and Beijing are also now building a new sliding centre as part of their 2022 Games. "Our position is that there is no need to build a new sliding centre," added Coates. "That is the IOC position now and, importantly, the mindset of the International Federations has changed." Coates denied that moving events further away would mean the "end of the Olympic spirit". "In a perfect world, we would continue to have all the athletes in one Village," he said. "But you have to balance the costs of that and we have not had any push-back from the sport which have been asked to go elsewhere in terms of affecting the Olympic spirit for them.